Caracas (AFP) - Venezuelan President Nicolas Maduro's regime defied the US on Thursday to arrest a top aide of opposition leader Juan Guaido, whom Washington recognizes as the crisis-hit country's interim leader. Interior Minister Nestor Reverol accused the aide, Roberto Marrero, a 49-year-old lawyer who serves as Guaido's chief of staff, of leading a "terrorist cell" bent on attacking the government's leadership with the help of Colombian and Central American mercenaries as well as "acts of sabotage on public services to create chaos." He said weapons and foreign cash were found in a predawn raid on Marrero's home. He added that Marrero's 34-year-old bodyguard, Luis Paez, was also arrested and faced the same charges and a search was on for "identified" collaborators. Later, President Nicolas Maduro said he would "not be afraid to fight terrorist groups to put them in jail." The development triggered alarm internationally. The United States, the European Union, and a grouping of Latin American nations plus Canada all denounced Marrero's arrest and demanded his immediate release. 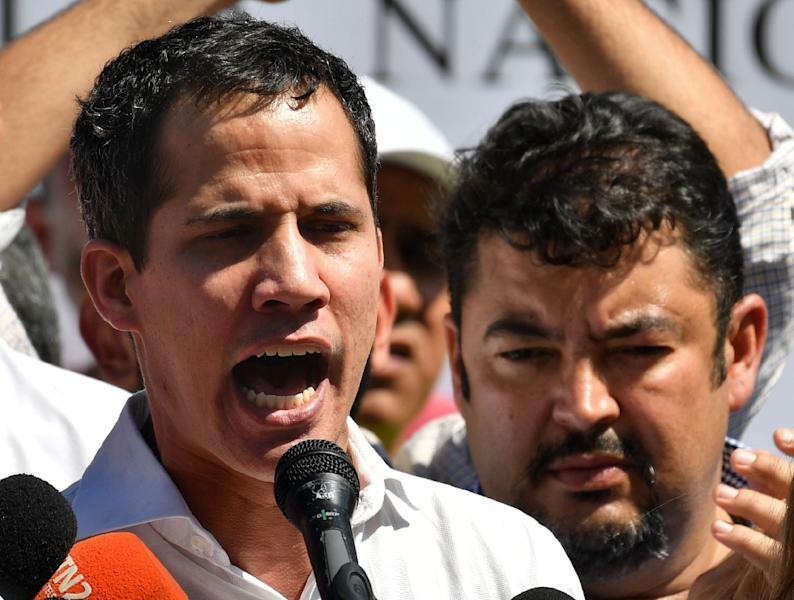 The United States has repeatedly warned Maduro's government against arresting Guaido or his close aides, saying it would face unspecified repercussions. US President Donald Trump reiterated this week he was considering "all options" at his disposal to see Maduro dislodged and Guaido installed in power, implying military action if he deemed it necessary. 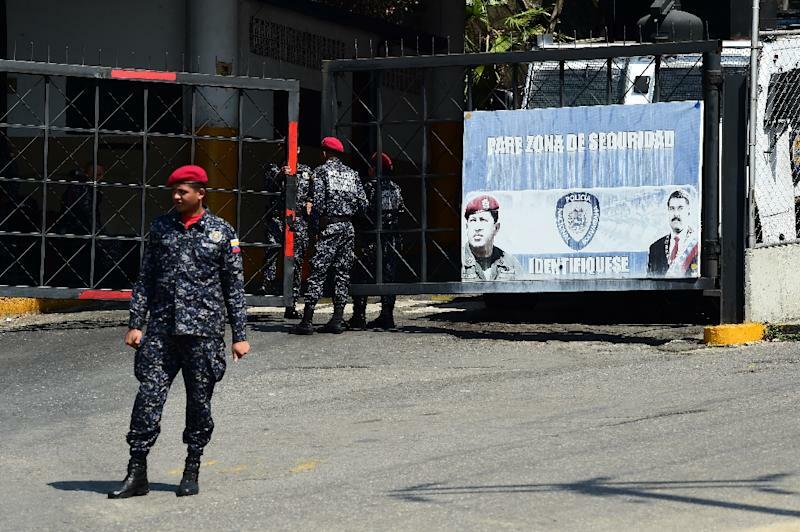 A UN spokesman Thursday expressed "concern" at the arrest, urging "all actors in Venezuela to take immediate steps to lower tensions and refrain from any action that could lead to further escalation." The arrest was denounced earlier Thursday by Guaido as a "vile, vulgar kidnapping." He said "we won't be intimidated." One opposition lawmaker who is a neighbor of Marrero's and whose home was also searched, Sergio Vergara, told reporters that Marrero had yelled out during his arrest that SEBIN intelligence officers had planted two assault rifles and a grenade in his place as a pretext. "The United States condemns raids by Maduro's security services and detention of Roberto Marrero, Chief of Staff to Interim President @jguaido. We call for his immediate release. We will hold accountable those involved," US Secretary of State Mike Pompeo said on Twitter. "Maduro has made another big mistake. The illegitimate arrest of Roberto Marrero, Interim President Juan Guaido's aide, will not go unanswered. He should be released immediately and his safety guaranteed," added National Security Advisor John Bolton. Maduro and Guaido both claim to be Venezuela's legitimate leader but Maduro, 56, retains the loyalty of the military brass and has control of state apparatus. Guaido, 35, declared himself interim president on January 23 and has the backing of the US and more than 50 other countries. So far their power struggle has hit an impasse, with Maduro railing daily about the US "imperialists" trying to dislodge him and Guaido touring the country to rally supporters and pledging he'll be taking over "very soon." 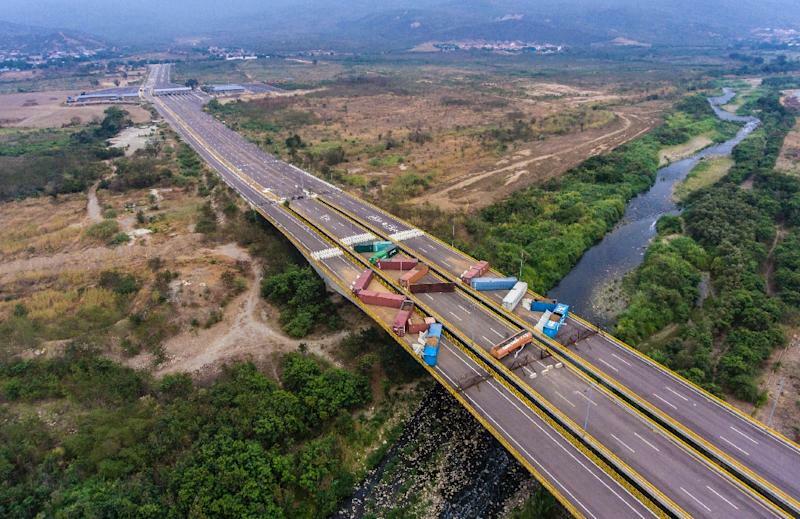 Maduro's forces have reinforced obstacles blocking a border bridge linking Venezuela and Colombia to prevent Guaido's supporters trucking in US aid. Extra shipping containers and concrete blocks have been moved into place on the bridge. Vergara said Thursday's raid, which occurred around 2:00 am (0600 GMT), was carried out by around 15 officers of the Bolivarian Intelligence Service, or SEBIN. He said he was thrown to the floor and his own place "ransacked" for around two hours before the officers went a short distance to bang on Marrero's door and enter his apartment. "The dictatorship is abducting citizens," Vergara said. The Lima Group, which includes Argentina, Brazil, Canada, Chile, Colombia, Costa Rica, Guatemala, Panama and Peru, issued a statement "calling for Nicolas Maduro's illegitimate and dictatorial regime to immediately release Mr. Marrero" and leave Vergara alone. "We demand the end of harassment of Venezuelans upholding democracy and the systematic practice of arbitrary detention and torture in Venezuela," said the statement issued by Peru's foreign ministry. The United States has cautioned Maduro against laying a finger on Guaido or National Assembly deputies, threatening unspecified repercussions. In January, Bolton tweeted: "Any violence and intimidation against US diplomatic personnel, Venezuela's democratic leader, Juan Guaido, or the National Assembly itself would represent a grave assault on the rule of law and will be met with a significant response." The United States this month withdrew all its diplomats from Venezuela. In just over a month, on April 28, increasingly harsh US sanctions on Venezuela will intensify to a critical level with a ban on all oil sales to the United States, Venezuela's main crude buyer. The step is expected to worsen already dire economic conditions ravaging Venezuela, a once-wealthy South American nation that has become impoverished under Maduro.